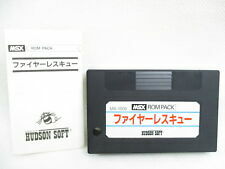 Home » Forum » MSX Talk » openMSX » openMSX & timidity? As the topic already says... is it possible to pipe the midi-data to an alsa-sequencer? Like timidity? AFAIK Timidity can't interpret raw midi data, only MIDI files. Which is different... But I don't know much from MIDI, so maybe someone else can explain it better. Have you experimented with it a bit? Is all the audio played when using A1GT of midi form? Or do you need to play something specific? Even after I made the file. I think it's expecting a node file the same as /dev/midi, but I don't have a /dev/midi and no idea what it's specifics need to be. The fluidsynth method seems to work, thx manuel! About timidity... it can also be run as an ALSA sequencer (option "-iA" ), so it's not just a midi file player. Therefore I thought of piping the midi events to it. I've also experimented a bit with this idea, and it seems to work! 2. I've loaded the virtual midi driver (snd_virmidi). The device nodes are placed in "/dev/snd/midiC1D#". There are 4 virtual devices, replace # with desired device. 3. Use "aconnect" to connect the virtual device's output to timidity's input. Gilneas2, I'm a bit surprised you got those errors. If you join us on IRC, we could try to find out what's causing them. Clearly, for some reason openMSX can't get files opened... but why?? Other logging works fine? LIke printer or RS-232 output logging? Sousuke: I tried with the -iA option, but I didn't understand it completely and I couldn't find helpful docs. Thanks for finding out how it works! By the way, with the soundfont I mentioned it also sounds a lot worse than on my real MT-32... Mapping seems to be a bit different or so. I have no /dev/snd/seq Hmm, no /dev/snd/seq? Did you include ALSA sequencer into your kernel (either built-in or compiled as module)? Seems to me like that's missing. I tried with the -iA option, but I didn't understand it completely and I couldn't find helpful docs. timidity has the possibility, to act as a ALSA sequencer client. It registers itself as a sequencer device and wait's for incoming MIDI events, just like a real device. So... timidity *could* interpret these events and output nice sounds. The connection between openMSX and ALSA's sequencer port (to timidity) is missing. Btw, fluidsynth could also be used this way. So you don't have to create an named pipe. Perhaps this is a nice alternative? By the way, with the soundfont I mentioned it also sounds a lot worse than on my real MT-32... Mapping seems to be a bit different or so. I've read here that the standard MT-32 soundbank is indeed arranged different from the Geneal MIDI one. Cuz the mp3's at adriano's translation page aren't downloadable now, without the login datas... :-? Um, I don't have any of those virmidi ALSA modules on my system... WHere do they come from? Anyway, M.L.S. sounds already better with that other soundfont. A problem is that some instruments 'hang' (also happens on a real machine with real MT-32)... Also, after GAME OVER, the game seems to crash when pressing space. THat's a bit odd and could be an emulation bug or so. the cs46xx is my sound card, the bt87x the 'sound card' of my tv-tuner card. I need to put them here and in this order to make sure that the kernel loads them in this order, so I don't end up with the tv-card as my primary sound card I guess snd-seq could be squeezed in between the two other modules, but definitely after the snd_cs46x! The virmidi module should be included in the kernel. In mine (vanilla, 2.6.20.3), it's located at: Device Drivers -> Sound -> ALSA -> Generic Devices -> Virtual MIDI soundcard.